lost and late to get there. : does a blank page scare you? 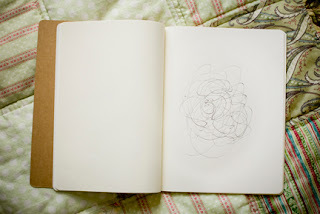 sometimes i find this blog a bit like opening a new journal. it's perfect. just by itself. i feel guilty for forgetting to post. what shall i write? i worry. i don't want to ruin it with all my untidy handwriting. and it scares me. a lot. but maybe that's exactly what it needs. for me to find a blank page somewhere lost in the middle. to scribble. and draw all over it. imperfection.